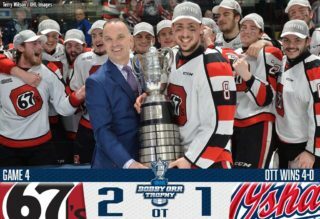 Robby Mignardi of the Owen Sound Attack was selected as the Most Valuable Player of the 2011 OHL Playoffs tying for the league-lead with 24 points including 15 goals and nine assists in 22 games. 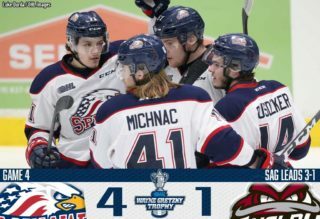 Mignardi, a 20-year-old from Richmond Hill, ON, had six goals and one assist for seven points in seven games of the Rogers OHL Championship Series. This is his fifth and final OHL season and second with the Attack after playing three seasons with the Kingston Frontenacs. The Ontario Hockey League introduced the Wayne Gretzky 99 Award in 1999 to honour the Most Valuable Player in the OHL Playoffs as selected by the media. Gretzky, a native of Brantford, graduated from the Sault Ste. Marie Greyhounds to become the most prolific scorer in the history of the National Hockey League. The league created the award in tribute of ‘The Great One’ shortly after he announced his retirement from the NHL in 1999. 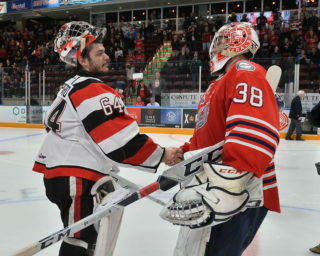 Mignardi follows Windsor Spitfires’ forwards Adam Henrique and Taylor Hall who won the award in 2010 and 2009 respectively. 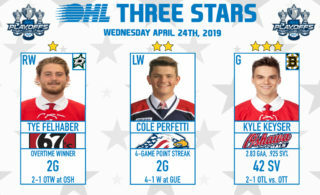 Other past winners include Justin Azevedo of the Kitchener Rangers in 2008, Marc Staal of the Sudbury Wolves in 2007, Daniel Ryder of the Peterborough Petes in 2006, and Corey Perry of the London Knights in 2005.